I have to admit that when a recipe directs me to scald milk, I've been tempted to skip that step because I thought it was only a precaution left over from the days before pasteurization. So I asked Nicole Rees-author of an English muffin recipe and also a food scientist-to explain the extra step. Turns out there is still good reason to scald milk, especially in yeasted doughs. Scalding the milk denatures whey proteins. This makes the milk a better food for yeast, which means faster proofing, larger volume, and a fluffier product. It also makes for a smoother dough with better moisture retention. 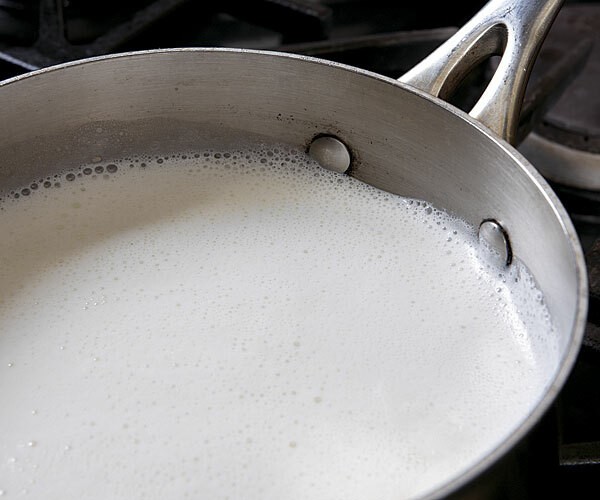 So the next time a recipe asks you to scald milk, just do it. It's easy, and it can make all the difference.